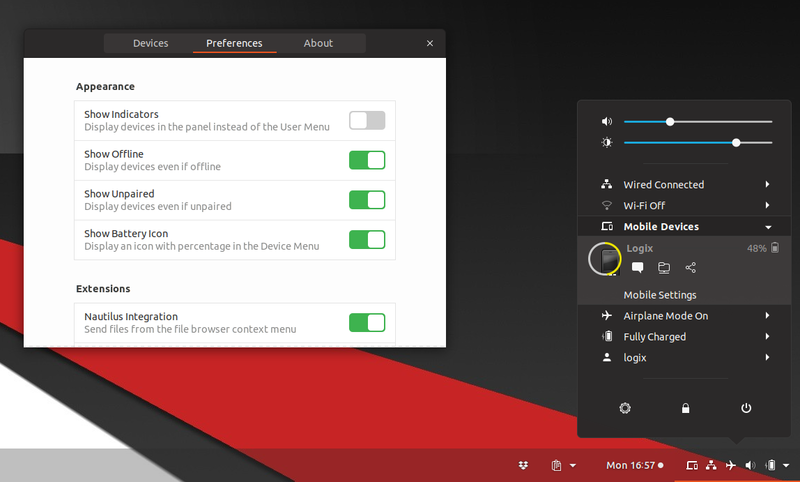 If you're looking for a way to integrate an Android device with your Gnome desktop without installing any KDE dependencies, look no more! 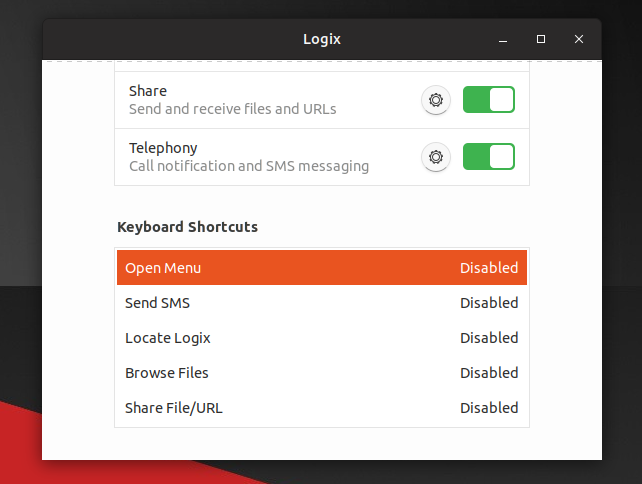 With GSConnect, you can easily send files between your Gnome desktop and Android smartphone, sync the clipboard or notifications between the two devices, browse files wirelessly on your Android device from your desktop, and much more. GSConnect is a complete KDE Connect protocol implementation written in GJS for Gnome Shell (requires Gnome Shell 3.24 or newer). That means it doesn't need KDE Connect or any KDE dependencies on your Gnome desktop. The KDE Connect Android app is still required. 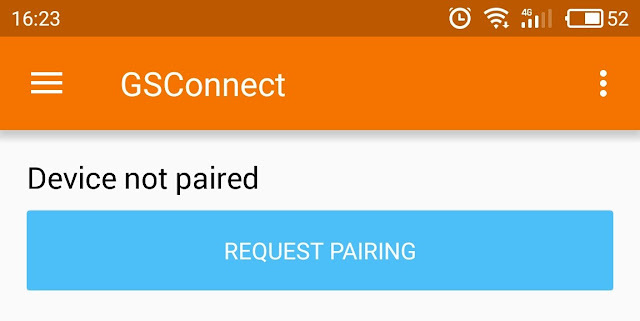 To be able to use GSConnect, your Android device and computer need to be in the same network. If you're using a mobile phone connected to WiFi and a desktop without WiFi, make sure network isolation is disabled in your router. While GSConnect is available as a Gnome Shell extension, it also provides integration with Nautilus (Files), Google Chrome and Firefox. 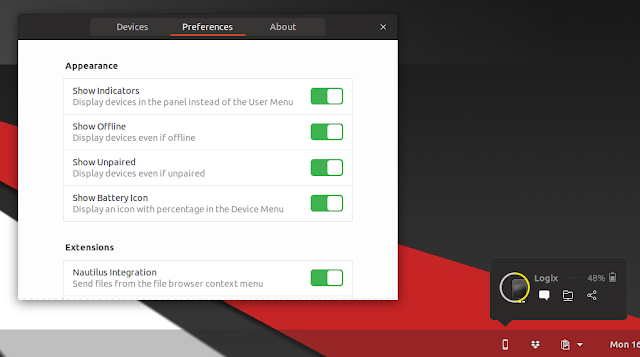 Using the browser extension, you can easily share links with devices connected to GSConnect, either directly, to the device browser, or by SMS. I didn't try all the features but I can tell you that I had trouble getting the Browse Files plugin to work until I installed the latest GSConnect from Git. GSConnect can be installed from the Gnome Shell Extensions website. 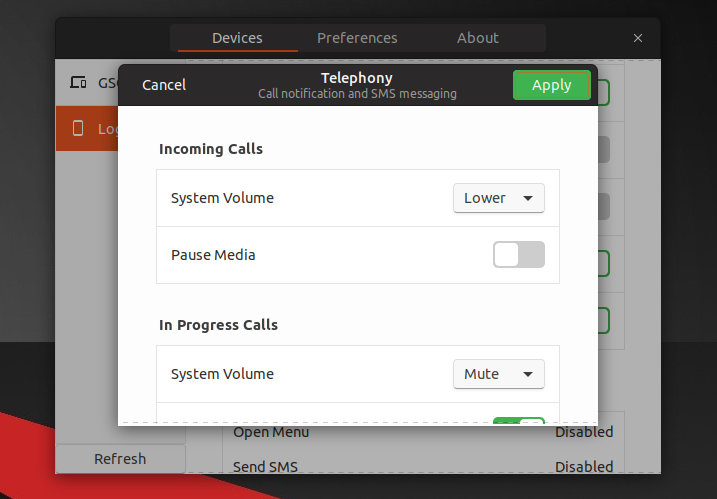 The extension requires Gnome Shell 3.24 or newer. 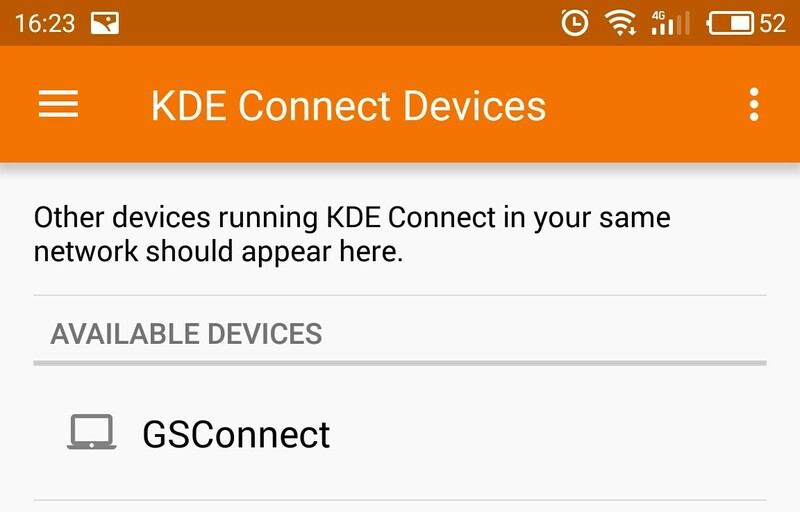 You'll also need to install the KDE Connect Android app from Google Play or F-Droid. Since it takes a while for the latest version of an extension to be published on the Gnome Shell Extensions website, you'll usually find a newer version on the GSConnect downloads page, or install the latest Git code. For how to do this, check out the GSConnect installation instructions. There are a few dependencies you should install as well, if you want some extra functionality (like sshfs for browsing the remote device filesystem, extra packages for Contacts integration, file manager integration, and more), which you'll find here. 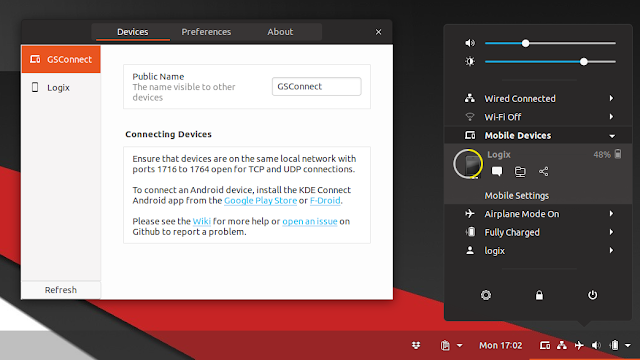 One thing to note before going forward is that the GSConnect wiki mentions that you should remove KDE Connect, Mconnect or other similar applications before proceeding. 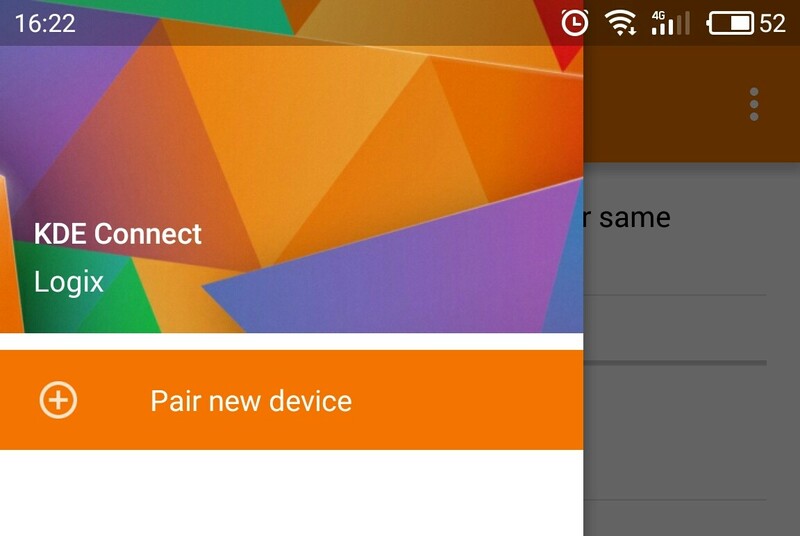 In my case, I couldn't pair my smartphone while KDE Connect was installed, so I had to remove it, restart the system, and then I was able to pair my Android phone with GSConnect. So I recommend doing this before trying to pair your device, to avoid running into issues.